Since ending apartheid in 1994 and being readmitted back into the international community, South Africa has worked hard to establish itself as a leading economic and political power in Africa. The country, located at the southern tip of the African continent, has the largest economy in the region and one of the highest per capita incomes in Africa. Though South Africa has struggled with very high unemployment rates in recent years, it is still considered a newly industrialized economy. South Africa’s economy is substantially dependent on the agriculture and tourism industries. In recent years, the country’s robust science and technology sector has also begun contributing to the economy in a small, but rapidly growing, manner. South Africa is a very diverse, multi-ethnic country. The country’s majority African population is comprised of people from numerous Bantu-speaking ethic groups. The country's constitution recognizes as many as 11 official languages, including English and Afrikaans, a language that has its origins in Dutch. South African arts and culture reflect the rich diversity of its people. The country is known for having some of the oldest man-made art objects ever discovered, including some artifacts that go back 75,000 years to the period when humans first began migrating to the region. 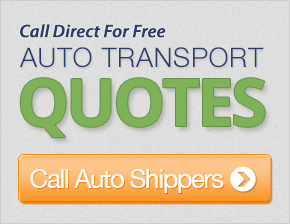 Many car shipping companies provide international shipping to South Africa from the United States. In most cases, though, shipping a car to South Africa is not particularly easy because of the country’s strict car import rules. Often, the only cars that can be shipped to South Africa are classic cars or vehicles than are over 25 years old. Car importers need to obtain an import license first before they can even begin the car shipping process. Shipping a car from South Africa to the United States is somewhat easier, but importers will need to modify their vehicles to meet American safety and emissions standards before the vehicle can be legally imported. Most South Africa international shipping companies currently offer container-shipping services from all major ports in the United States to Cape Town, Durban, Port Elizabeth, Johannesburg and other major ports in South Africa. Customers can choose to ship their car in a 20-foot container, a 40-foot container, or a 40-foot high cube container. The cost of shipping varies considerably based on port of origin and destination and vehicle type. On average, shipping companies can charge between $2,000 and $2,500 to transport a car between the U.S. and South Africa. Those on a budget can choose to have their car shipped on board a Roll on Roll off (RoRo) vessel. RoRo shipping to South Africa is usually cheaper than container shipping by a few hundred dollars. However, RoRo services to South Africa are available only from a handful of U.S. ports, including Jacksonville, Florida, Galveston, Texas and Newark, New Jersey.